Beautiful Sproat Lake, the home to two Martin Mars Water Bombers - the Hawaiian Mars and the Philippine Mars - since the early 1960's. Just a 15 minute drive from The Hummingbird. These mighty bombers were built originally for long range patrol missions for the US Navy in WWII. 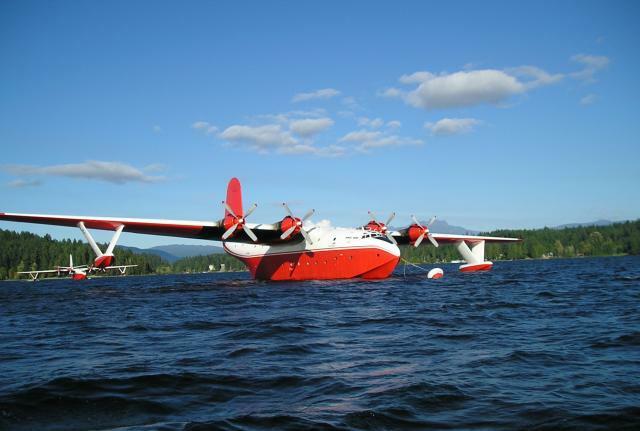 They clocked thousands of accident free hours in the air before turning into waterbombers and now call Port Alberni, British Columbia home. During the fire season, the aircraft are kept in a state of readiness to meet the existing fire hazard conditions. They have dropped 4,000 loads of fire retardant on over 2,000 wildfires in their lifetime as water bombers. They hold up to 27 tons of water, playing an important role during forest fire season, when their thundering engines carry the valuable liquid cargo high above the burning foredst. Each of them can drop enough water, foam or gel to cover up to 4 acres, making a new drop every 15 minutes. The bombers carry a team of four, who have to work together to perform the most difficult task on board....Picking up the water. From the inital landing of the aircraft to injecting the water into the tanks and preparing for take off again, it is no wonder these machines are maintained to the highest standards of overhaul each year. 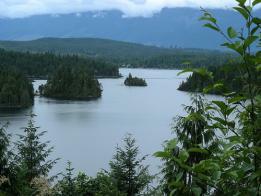 See them when they're not in action at beautiful Sproat Lake. 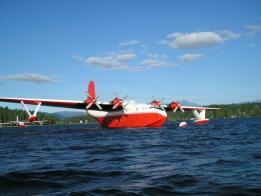 No visit to the Alberni Valley would be complete without seeing these icons of aviation.